4000 of us!!! | Cosa Mi Metto??? It's such a great goal to me!!! E' un traguardo così importante per me!!! Non dimenticate di partecipare al giveaway!!! Hey, thank you for your lovely post on my blog. Yes I would like to follow each other, I am following you now. Thank you so much my dear, it means a lot to me! Congratulations Fabrizia! Such a wonderful achievement. Congratulations!!! Parabéns!!! O seu blog é lindo mesmo! Congrats Fabrizia, have a great weekend. wow congrats!!!! that is wonderful. I will follow you in bloglovin, because I have no facebook or twitter account. wow! 4000 followers! sorry for late reply, yes I'd love to follow each other! 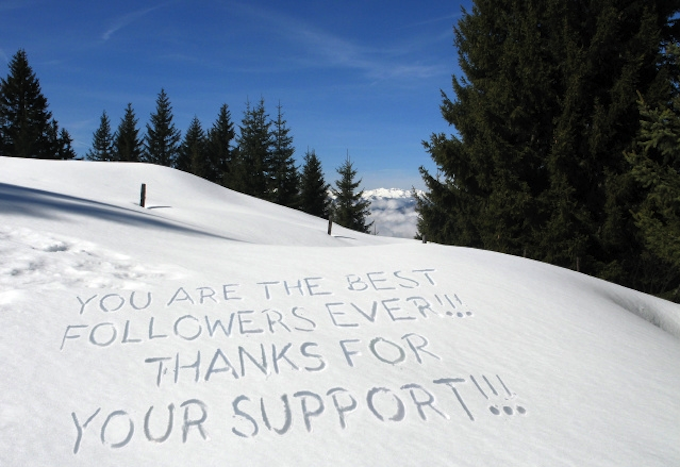 just do follow me and I'll follow you back within 24 hours :) thank you, Fabrizia! wow! io t seguo da molto :) e mi fa piacere che anche tu mi segui :) ciaooo! thanks for the comment on my blog, this is such a nice picture! I am now following you! congratulations on the 4k followers! New post: Designs and garments for SALE! 4000! Das gibts ja wohl nicht! Andererseits hast du sie dir alle verdient, denn dein Blog ist wirklich toll! PS - love the snow messages! congratulations. your blog is perfect. OMG! Congratulations, I'll make a party too when I reach at my first 1000. Well done babe! congratz dear. You deserve to get it..
Bautiful blog, congrats for the followers. Congratulations! This is really a great goal! Love the message in the snow! Cogratulations! 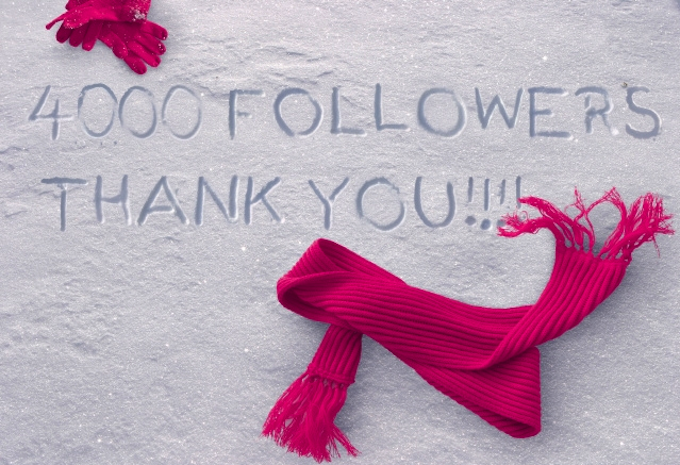 Thank to all of you for your support!!! Grazie a tutti voi per il vostro sostegno!!! Congrats on reaching 4,000 followers! That's quite a feat! wow, congratulations!! Keep up with your great work.